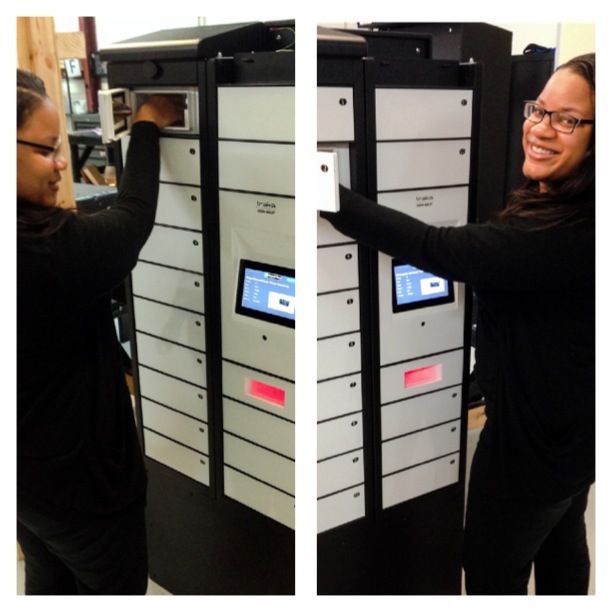 Adeylah ( Traka Technician ) is configuring our brand NEW high security & fully weatherized key locker systems targeted toward vehicle rental, carpool and public facing applications. The Traka Touch locker system can integrate with 3rd party systems and allows vehicles (or any assets) to be reserved through a web application in advance. The customer simply collects a vehicle or asset by scanning their cell phone (that holds an electronic copy of the reservation agreement) at the locker.When a vehicle is taken, the 3rd party system is notified to start the billing process for the reservation.